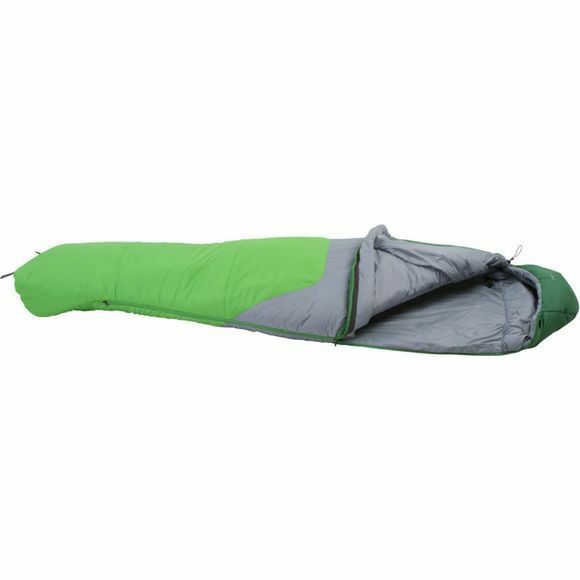 Drawing on their decades of experience making top-of-the-line down bags, Rab have built the synthetically insulated Ignition 2. This light, packable two-season bag uses Pyrotec insulation, which has the great advantage of maintaining warmth even when damp. The layers of Pyrotec are arranged in a shingled pattern over the top of the bag to ensure that as you move around, cold spots don't appear. 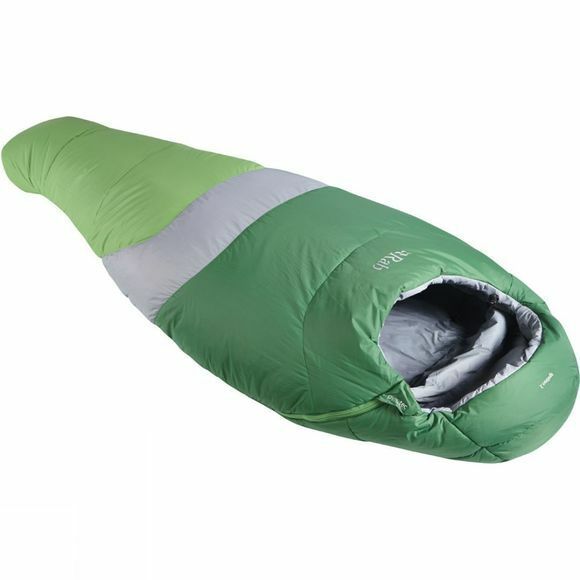 Making best use of the insulation, the tapered mummy-shape maximises thermal efficiency: it matches the contours of your body so there's no spare air inside, which would take more body heat to warm up – in other words, you'd get cold!